Those are probably not Erin’s exact words, but as she explained, it was like a rainbow glitter bomb inside my mind. I felt the understanding racing through my nerves down to my toes and out to my fingers. Release on a phase 1. Not the phase 4. Because, you see, if you have to go up to a phase 4 to get a response, and then you release when you get the response, you teach your horse to respond to the phase 4. It’s like telling your dog or your kid “sit, sit, sit, sit, sit” and on the 20th time finally taking ahold of them and sitting them down, thus teaching them that the cue for sitting is that you’ll say “sit” 20 times for ignoring or prologue and then use your body language when you actually mean it. But if you return to a phase 1 when the horse is responding, and you release while you’re doing phase 1 and the horse is without brace, nice and light … the horse remembers that and you have a much better chance next time of getting the response at your initial phase 1. 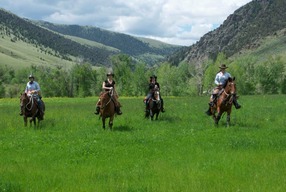 How this came up was, I was on River and I asked her to back up and River leaned on the reins. 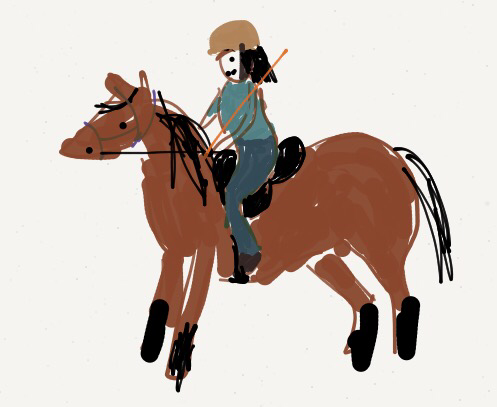 I started to increase the pressure on the reins and Erin said to use my carrot stick instead, “on whichever shoulder is sticking — or whichever shoulder you can get to.” I tapped River firmly on the front of her shoulder (maybe that’s actually her chest?) 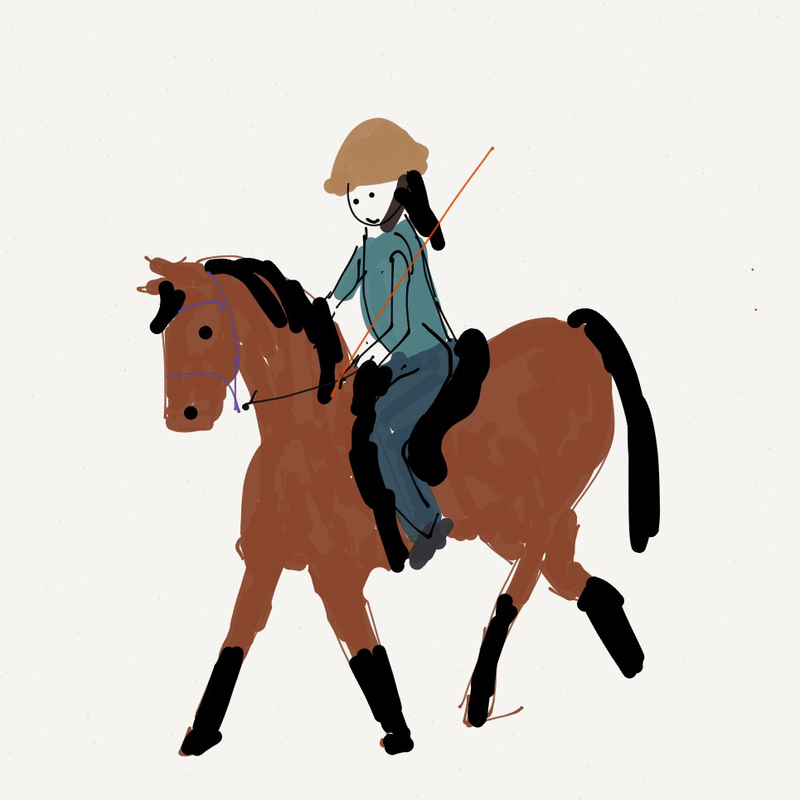 and kept the reins where they were, and when River yielded, the reins got really light in my hand. She rounded up and backed nicely and I released after a few strides of that and we both licked and chewed. The next time I lifted the reins — lightly — and backed up in my own body, she backed up lightly with me. She also had a nicer expression and felt more engaged mentally, not just physically. Hm, how interesting! Brilliant!!!!! Total and complete glitter bomb!!!! Somehow I’ve never ‘hear’ this either – thanks so much for sharing!! It’s one of those BFOs – of COURSE one knows to go back to the phase 1, of COURSE one knows to release when the horse is doing what one wants, of COURSE one knows that consistency is the most important tool of teaching horses what happens before what happens happens…but somehow it all came together this weekend when she told me to add the stick instead of pulling (heh) on the reins. In other words, add a new consequence, don’t just increase pressure on something she’s already bracing against. D’oh!